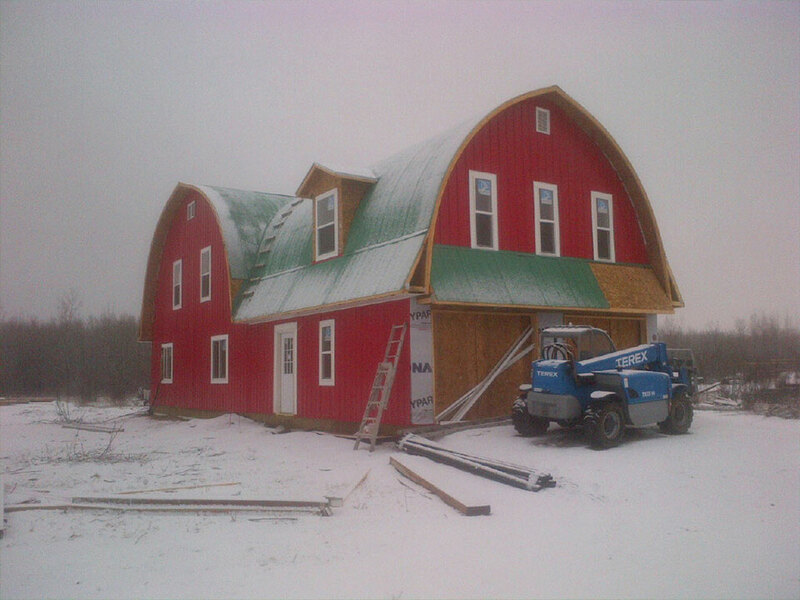 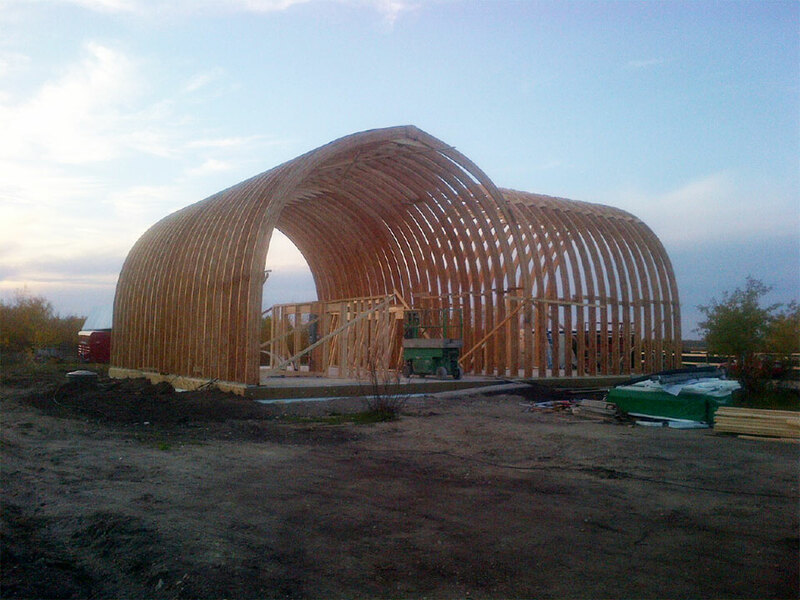 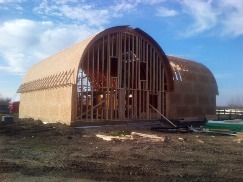 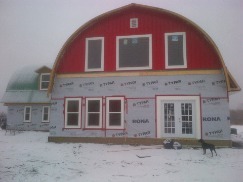 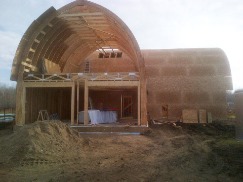 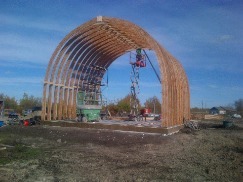 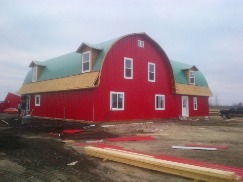 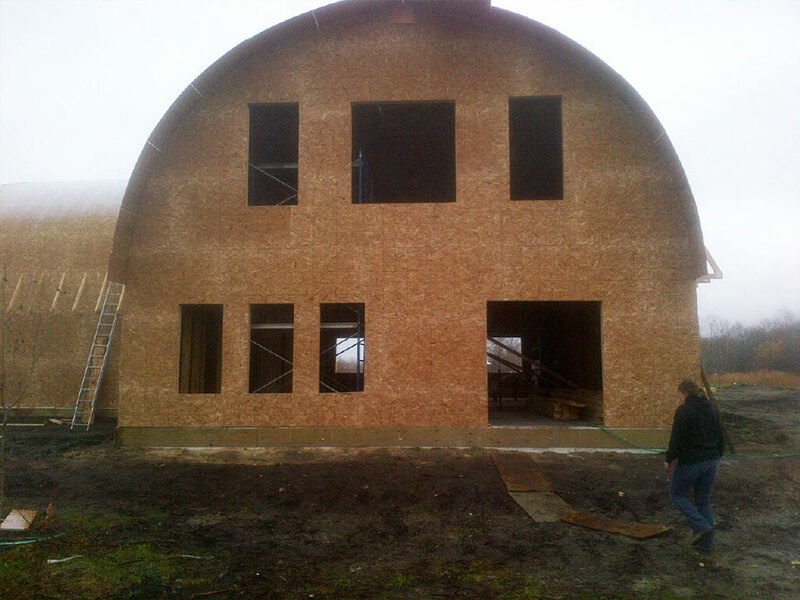 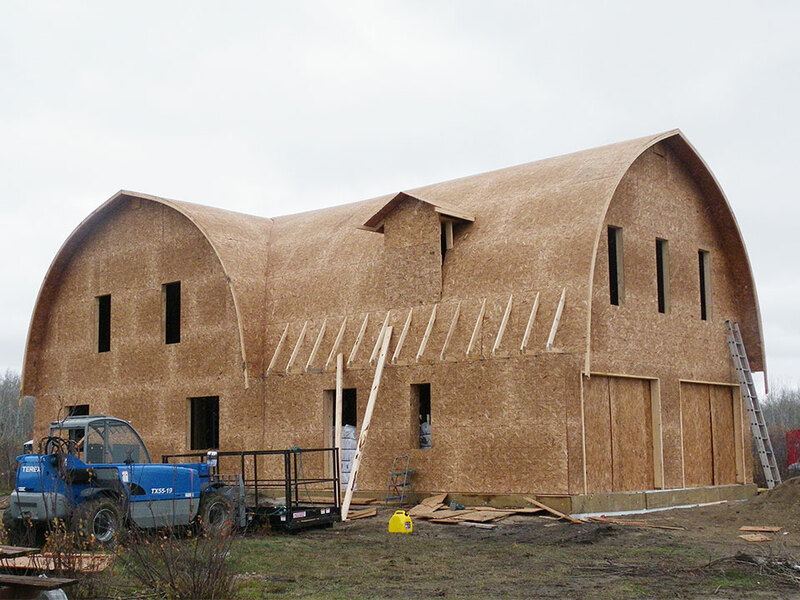 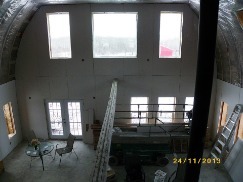 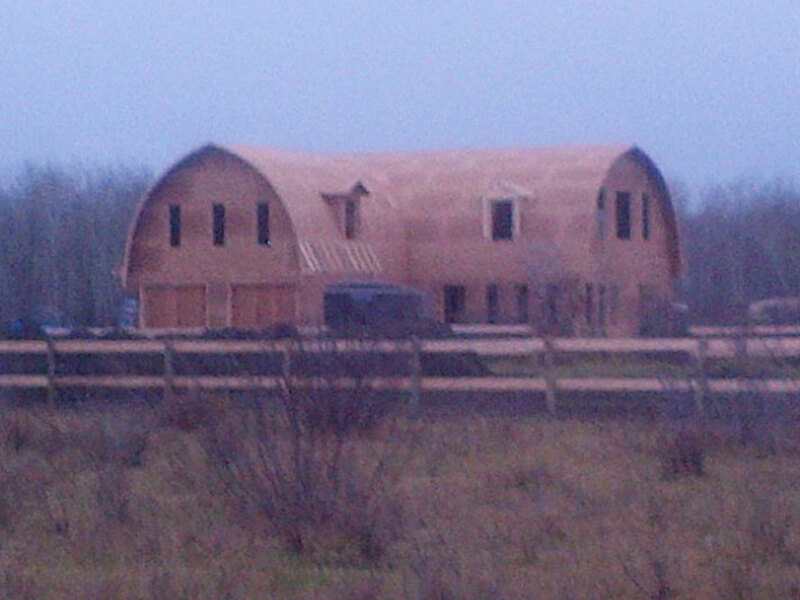 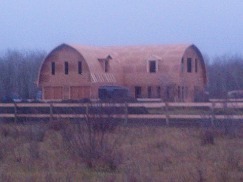 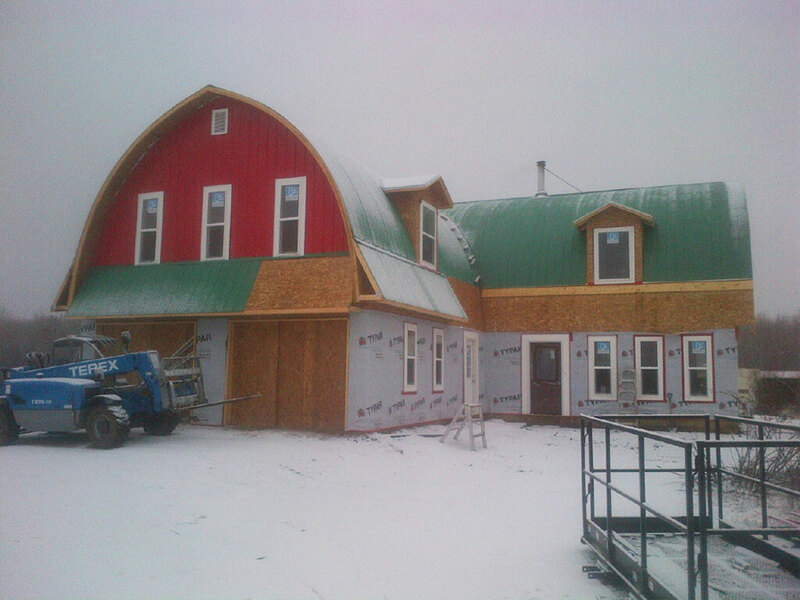 Building a home shaped like a barn has been a dream for quite some time for us. 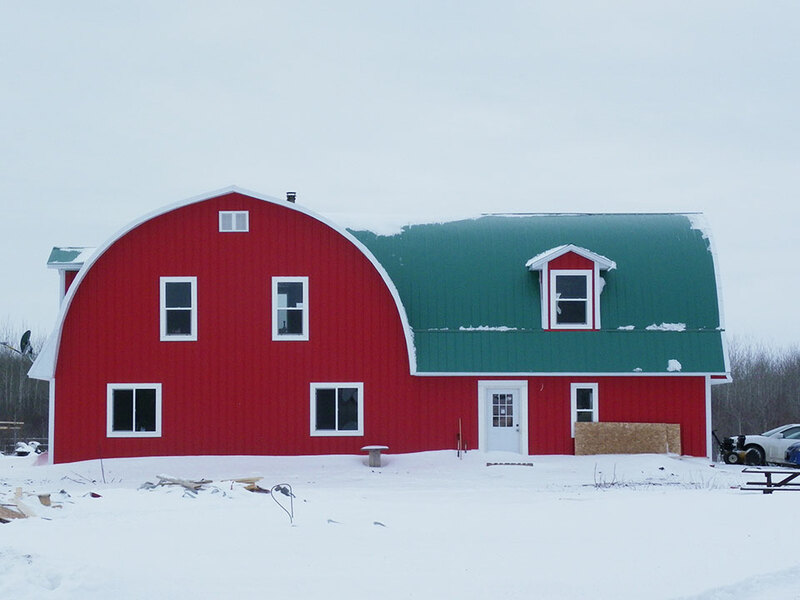 At first we had thought about finding an old barn to renovate into a home but many issues came up along the way and we were unable to find the right place. 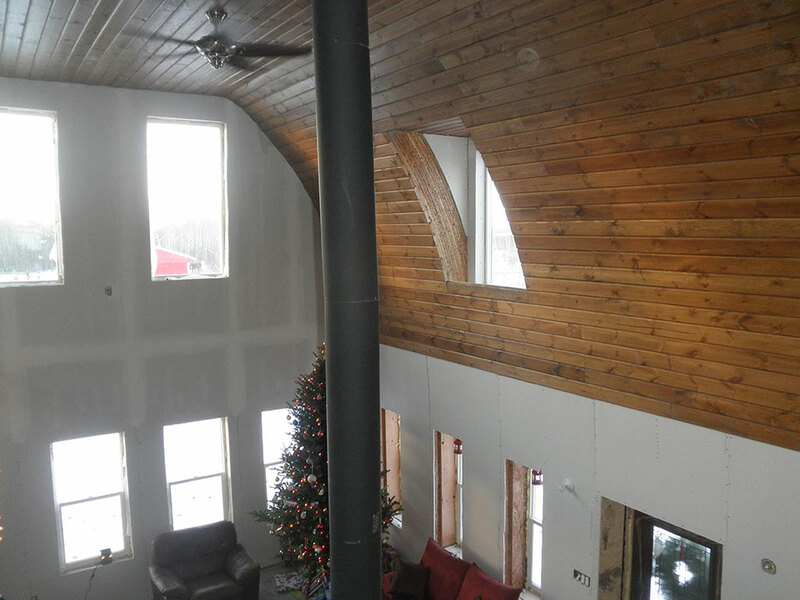 We drew up plans and took them to Tyler at Dueck's Rafters and he made the dream a reality. 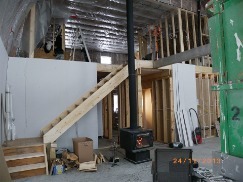 Tyler was awesome to deal with and had great ideas and was always willing to answer questions (sometimes many in one day). 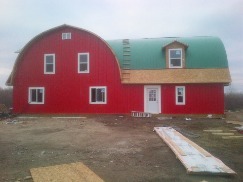 We are still busy finishing the project and hope to finish the inside to keep it rustic and keep the barn feel throughout. 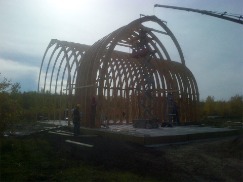 The structure went up so fast once the materials were all on site and many people were amazed that one day they drove by and the house was standing. 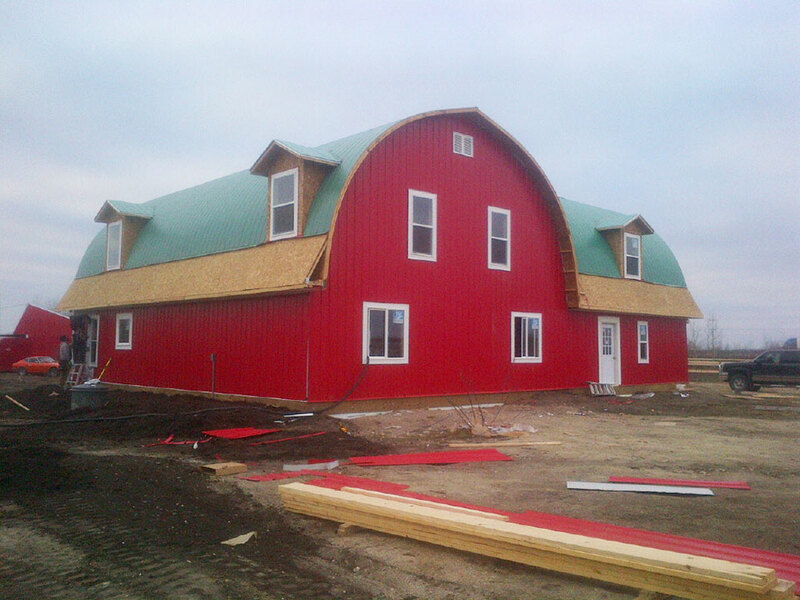 We decided to do the garage at a 90 degree angle to the house to copy the way the old barns were built and we are very happy how the house and garage look together. The trusses are very different than anything we had ever seen before - the many layers of laminated wood pressed together - very impressive. We are going to keep some areas open so that the trusses will be visible - want to be able to show people what the structure is really made of. We look forward to creating a charming country feel on the inside and outside of the home. 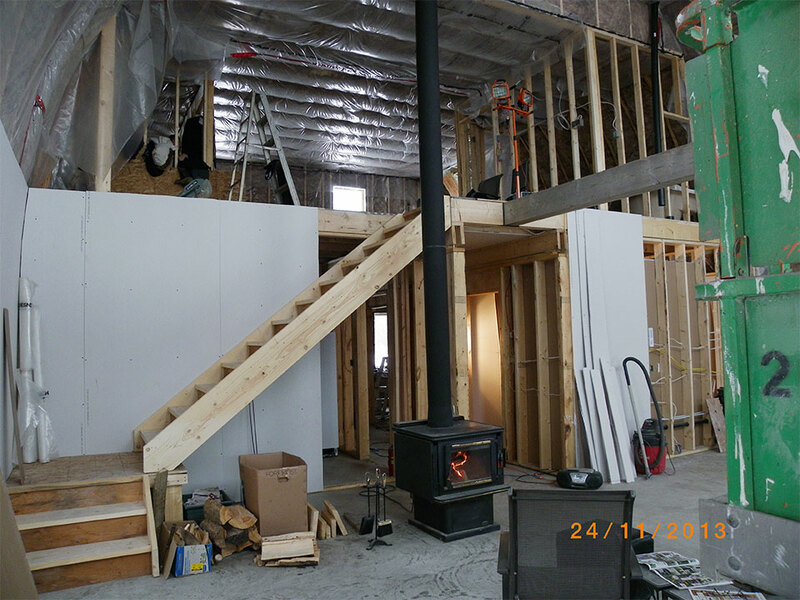 We are going to add more woodwork to keep the barn interior feeling. 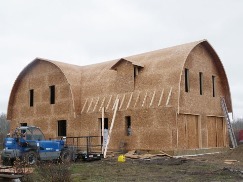 The outside will have a covered veranda on two sides so that the beautiful sunsets can be viewed during the summer months. The view from the loft bedroom is breathtaking - looking down onto the living room and dining room areas and also the view outside. 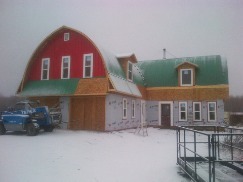 It is a comfortable yet unique home and we will be creating many memories in our new home with our family and friends.